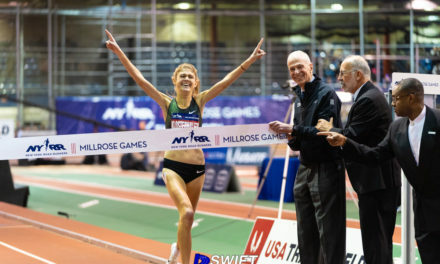 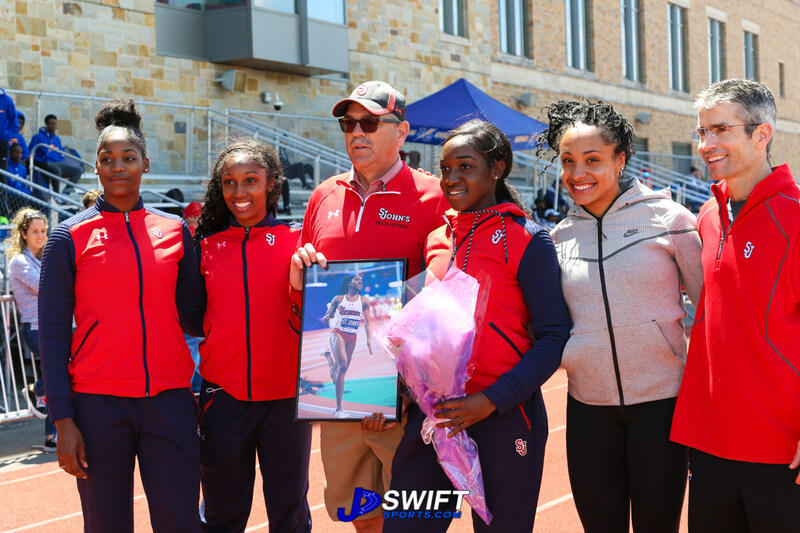 QUEENS, N.Y. — The St. John’s track & field squad celebrated Senior Day by winning seven events at its Fourth Annual Tom Farrell Classic on Saturday afternoon at DaSilva Memorial Track & Field in Queens, N.Y. 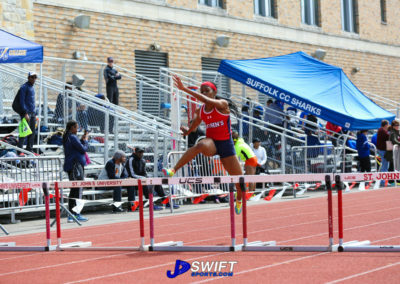 The Red Storm captured individual victories across the event spectrum winning in the sprints, the hurdles, the jumps and the throws. 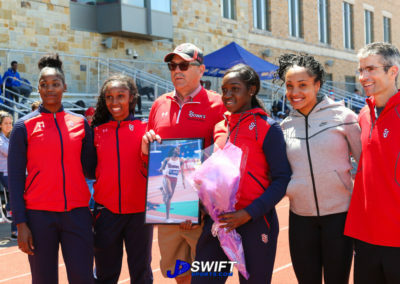 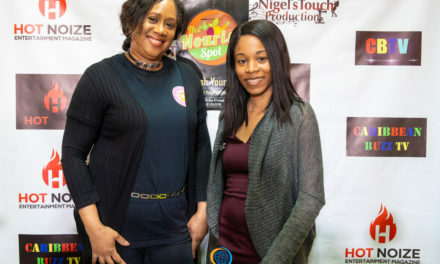 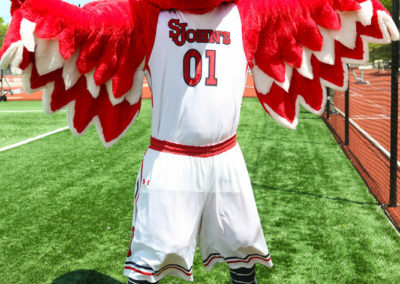 St. John’s used its lone home meet of the season to honor the team’s nine graduating seniors: Bailey Brewer, Dorie Ervilus, Shequell Higgs, Christine Oguledo, Tiffany Perrier, Raquel Ricketts, Julia Schwan, Arnelle Thomas and Adriana Wright. 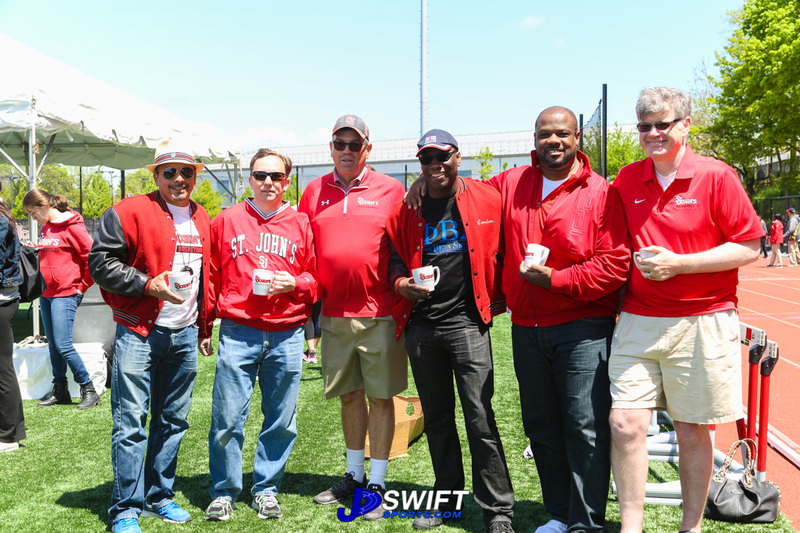 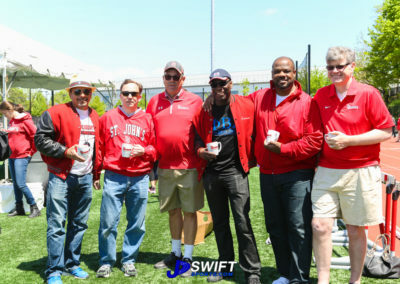 In addition to this Senior Day celebration, Coach Hurt and his staff also recognized the 30th anniversary of the 1987 Men’s BIG EAST Championship Track & Field team, which several members of the team came back to campus to celebrate. 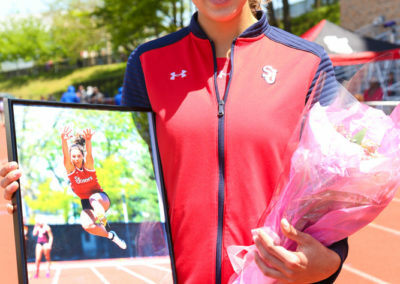 Some of the Red Storm’s top performances of the day came in the 400-meter hurdles and shot put. 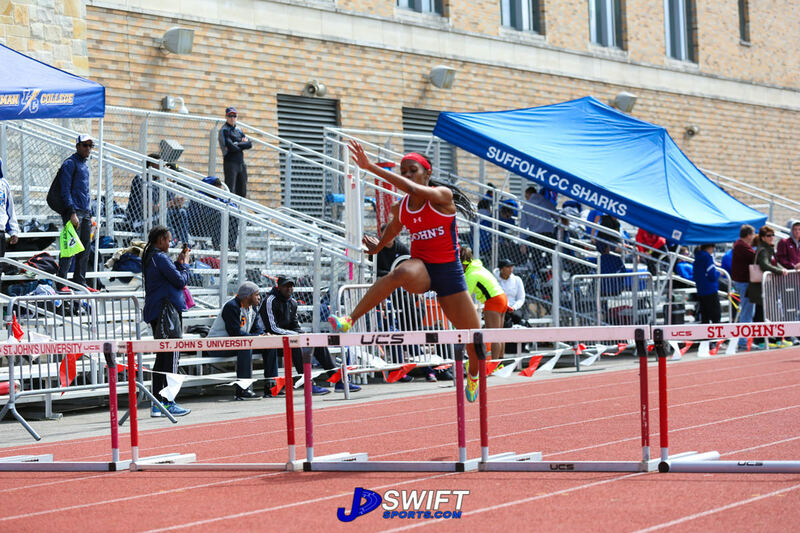 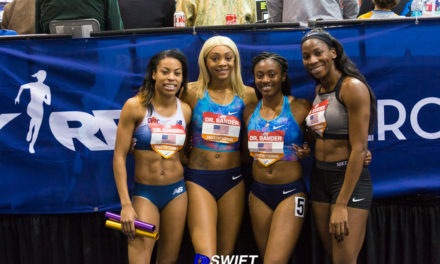 Jasmine Burkett, Wright and Oguledo teamed up to sweep the podium in the 400-meter hurdles, with Burkett championing the event in a time of 1:00.95. 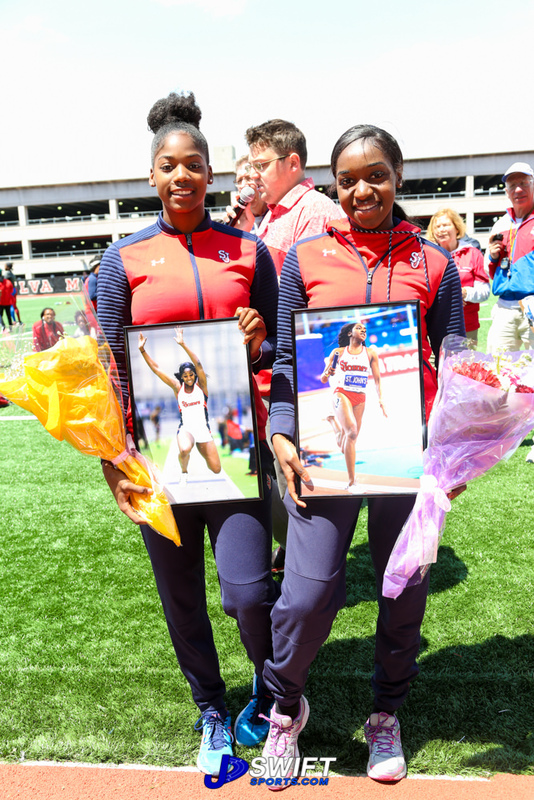 Wright and Oguledo went second and third, respectively, in times of 1:02.14 and 1:04.47. 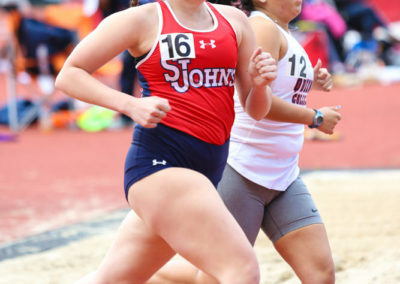 Sophomore Torisha LaForce also placed fifth in the event in a time of 1:07.28. 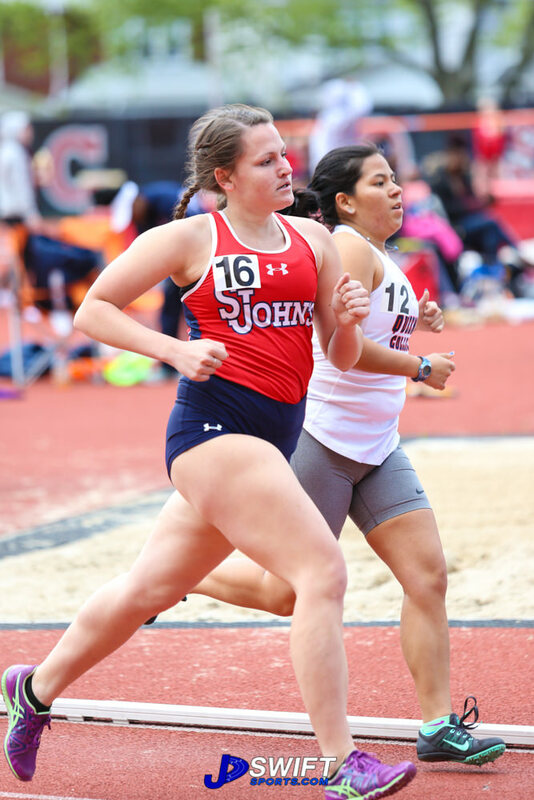 St. John’s also came away with a near podium sweep in the shot put as Nyla Woods, Bernadette McGowan and Jennifer Odoemene went 1st-2nd-4th. 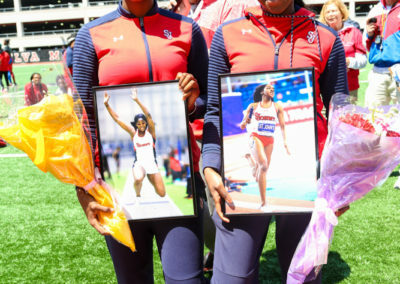 Woods crowned the event with a mark of 12.66 meters, while McGowan finished second with a toss of 12.40 meters. 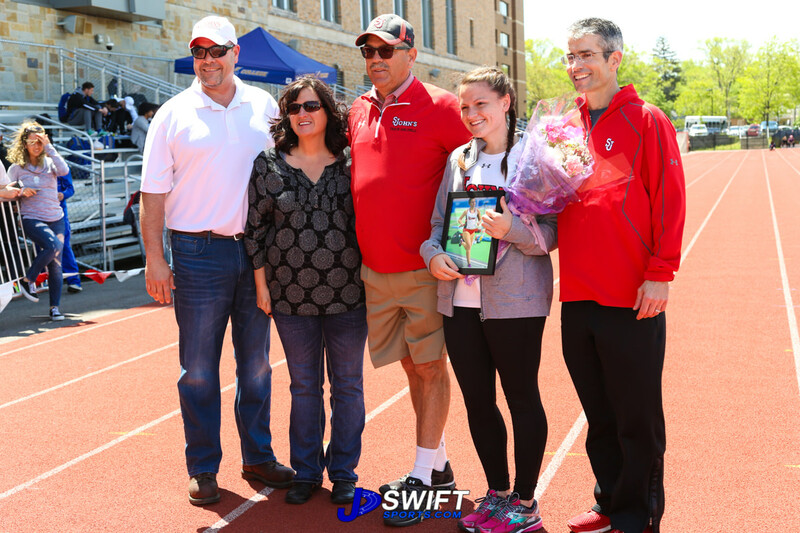 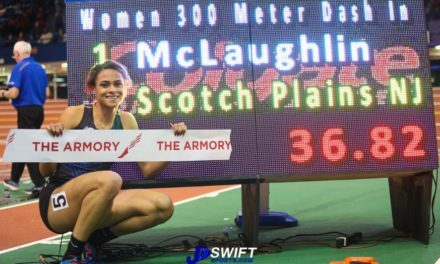 Olivia Pantale won the javelin throw with her toss of 41.89 meters while McGowan placed third with a mark of 34.43 meters. 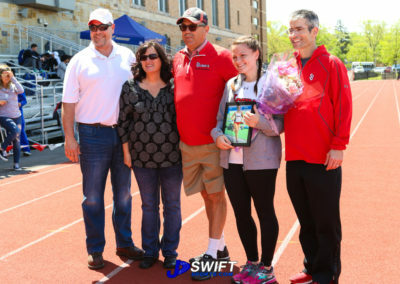 Red Storm senior Higgs celebrated her last home meet in style with an individual victory in the triple jump, championing the event with a mark of 11.60 meters. 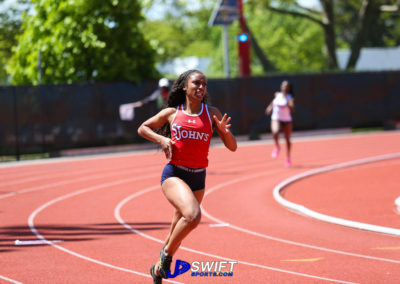 Junior Maya Stephens took home the gold in the 400-meter dash. 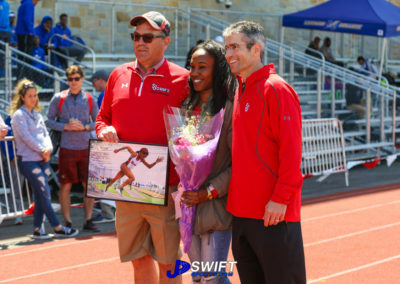 Despite finishing third-overall in the 200-meter dash, Denesha Ransome was the top collegiate runner in the 200-meter dash, giving the Red Storm another event victory. 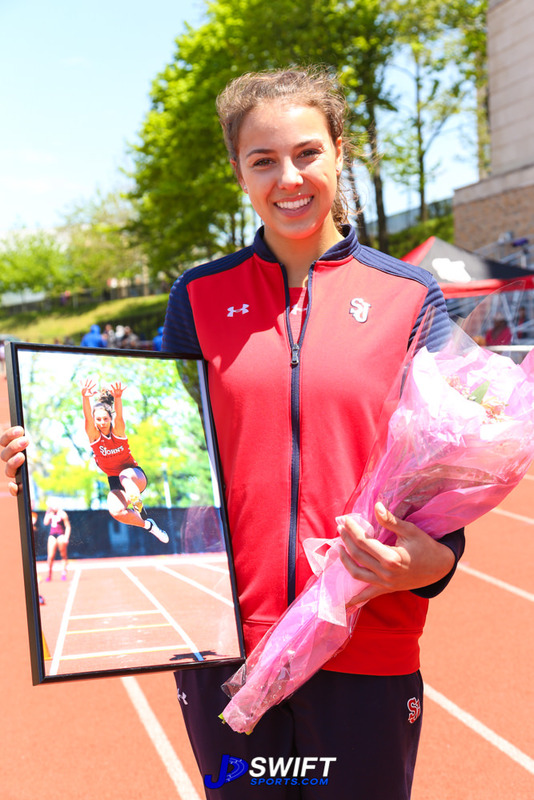 Similarly, Chenoa Sebastian was the top collegiate student-athlete in the 100-meter hurdles. 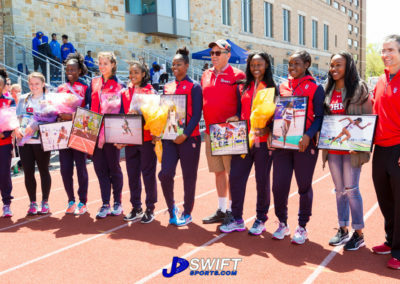 In all, the Red Storm won seven events on the backs of 16 podium finishes throughout the meet. 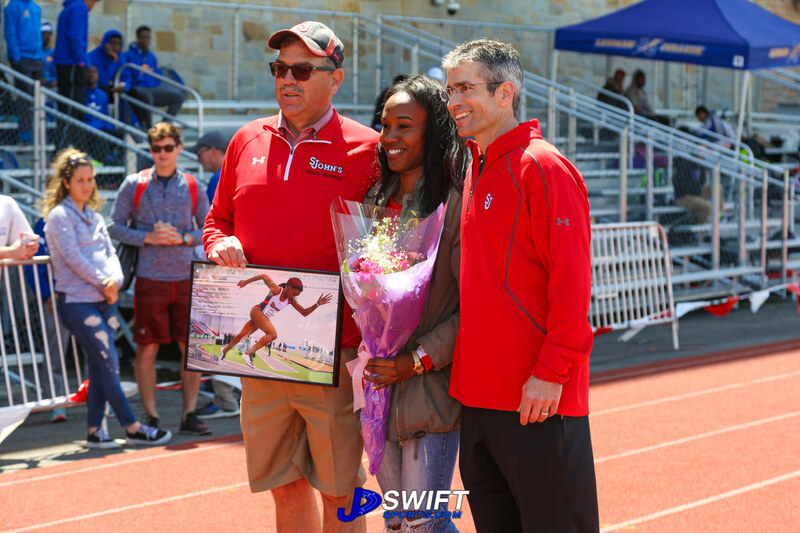 Coach Hurt and his staff used this meet as a final tune up before the 2017 BIG EAST Outdoor Championship meet the following weekend, May 12–13, at Villanova Stadium in Villanova, Pa. 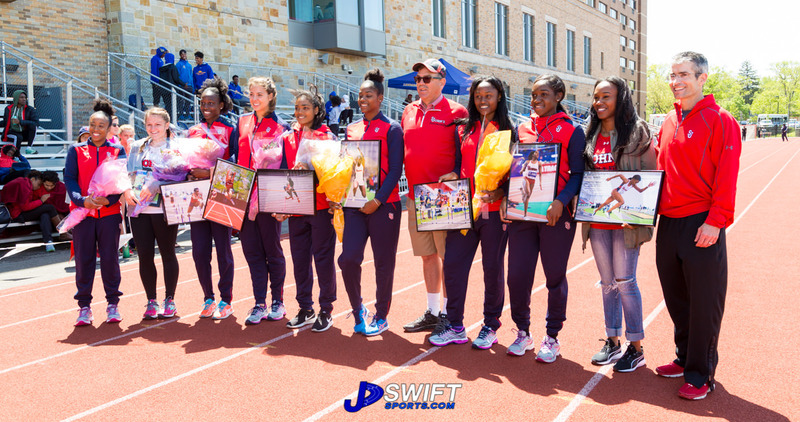 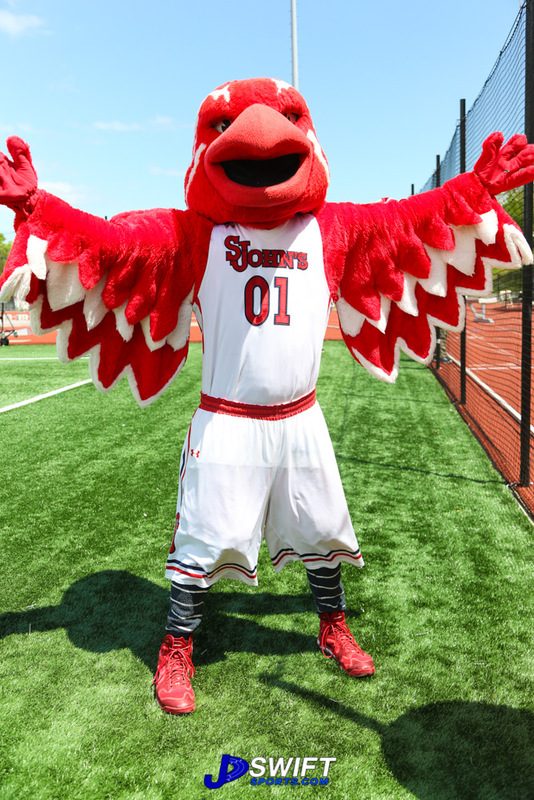 The BIG EAST Championship meet marks the beginning of the Red Storm’s postseason schedule.